This Valentine’s Day, book your stay at selected AfriCamps locations for the night of 14 February 2019 and receive a ‘cook-your-own’ breakfast basket for two and complimentary bubbly all at a very special Valentine’s Day rate. Enjoy a midweek glamping getaway in Wellington, Stanford, Swellendam, Oudtshoorn, Wilderness, Plettenberg Bay or Hazyview. Still in two minds? Take a look at our romantic glamping to do list. 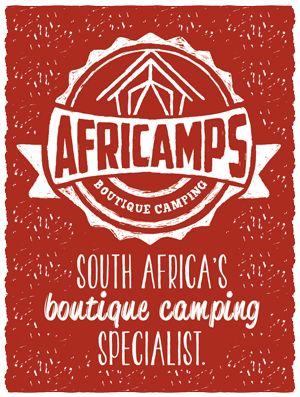 Bookings are to be made on AfriCamps bookings page www.africamps.com. The special offer rate is only valid for the night of 14 February 2019. If your stay is longer than one night, normal rates will apply for the other nights. The special offer is only valid at participating camps listed above. Special is only available subject to availability. Accommodation is offered on a self-catering basis. Breakfast baskets are strictly ‘cook-your-own’. ‘Cook your-own breakfast is provided for 2 guests only. Additional breakfast baskets or braai packs can be ordered at an additional cost. Standard terms and conditions apply as per our terms and conditions page.